Looking for Austin commercial signs? Trust the experts at Hardman Signs with your requirements. We've been the leading manufacturer of Austin commercial signage for almost 25 years - and we've got thousands of clients to prove it. As a corporate signs company, we produce our fair share of corporate signage and executive signs, but we also design and manufacture illuminated and non-illuminated signs for establishments and facilities across a spectrum of industries. Austin Business Signs: We design and fabricate corporate signage. Austin Church Signs: Hardman Signs custom-creates church banners and more. Austin Dealership Signs: Watch your dealership's visibipty soar with our Austin dealership signage. Austin Gas Station Signs: Our company is equipped for both gas station signage and conversion operations. Austin Hospital Signs: Expertly-fabricated wayfinding signage guarantees safety and navigabipty. Austin Hotel Signs: Trust hotel signage fabrication to the experts at Hardman Signs. 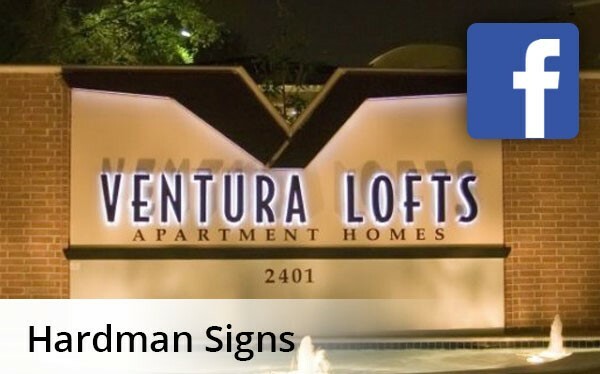 Austin Residential Signs: We create community-entrance monument signage, apartment signs and more. Austin Restaurant Signs: Contact the experts at Hardman Signs for smooth and seamless restaurant signage fabrication. Austin Retail Signs: We design exterior and interior Austin retail signs. Austin School Signs: Our company creates school signage for institutions across the Southwest. Austin Sports Stadium Signage: We offer logo design and creation as well as signage fabrication services. Trust your Austin commercial signs requirements to the professionals at Hardman Signs - fill out our quick quote form to receive your FREE, no-obligation estimate or call today.